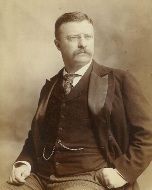 An oustanding overview of the life of Theodore Roosevelt. It would be time well-invested for everyone to listen to this, especially aspiring civil government servants. I must admit I didn't know much about TR, before reading this book. I was fascinated by this marvelous man and the amount of fortitude and fight he had in him. He was a great leader and man of action. You will not be disappointed in this book at all. This biography covers him from childhood to after his presidency and provides you with great detail without losing you in the process. There is not a dull moment. Get this book! Awesome read. Well done but is made from much of TR's own biography. But nicely expanded. Andrea Groves A thorough exploration of Roosevelt's singular childhood: extraordinary parenting, adventures of the outer world of people, places, things and ideas--and the inner world of self reflection, imagination, staunch goals and dream with sturdy, hard working legs. These elements collide and ferment, ultimately providing the reader with the raw building blocks of insight that explain how Roosevelt cheerfully tackled intractable problems--whether they be political, or life-threatening dramas on the African savannah in his adult life The book is clearly written with expertly crafted prose and so is a brilliant choice for the audio format. The narrator was exceptionally fine, as well, adding to a thrilling and elucidating intellectual adventure very well grounded without artifice or hubris. Narrator was terrible! Did not do the content of the book justice!!! I pray we will have more leaders like Roosevelt. This book was and still is amazing.